It’s the 2nd time we’ve been and just like the first time it was brilliant. Fantastic place. 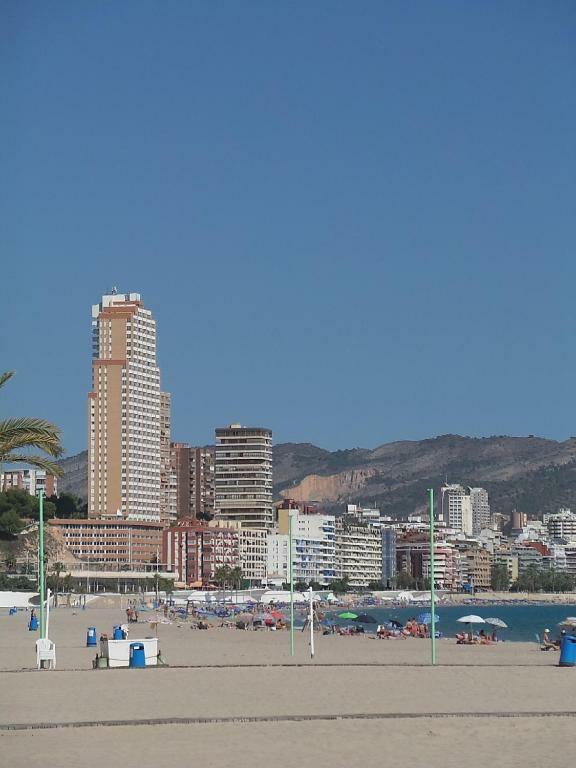 Close to the beach, easy 10 minutes stroll to the old town, no traffic noise or any other noise you would normally get in Benidorm. Warm welcome from staff and information available. Apartments in a great location across from the beach. Fantastic views across the sea.There is loads of room for the size of our party (6). The balcony is a great space to use and having the glass shutters kept it warm. Location was just perfect. Right on the beach basically. The location was good, The views were stunning, the locals were friendly, the beach very good, the weather was good for the time of the year. We loved everything about our stay at the benibeach apartment . 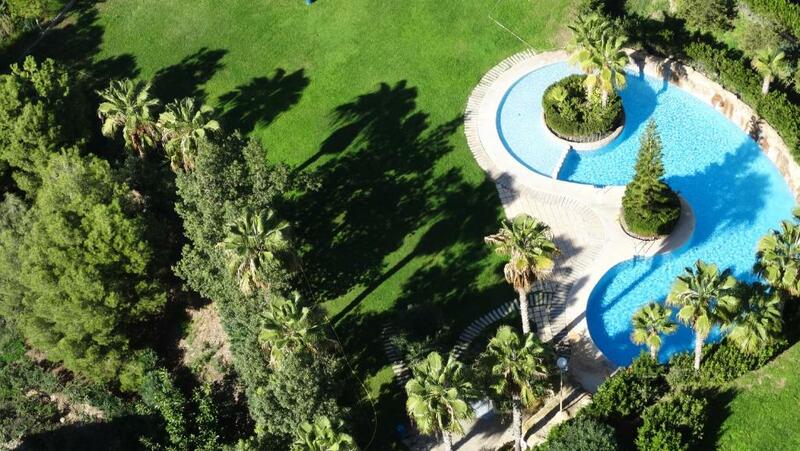 Situated across from Benidorm’s Poniente Beach, the Beni-Beach Apartments have a outdoor pool and a rooftop tennis court. 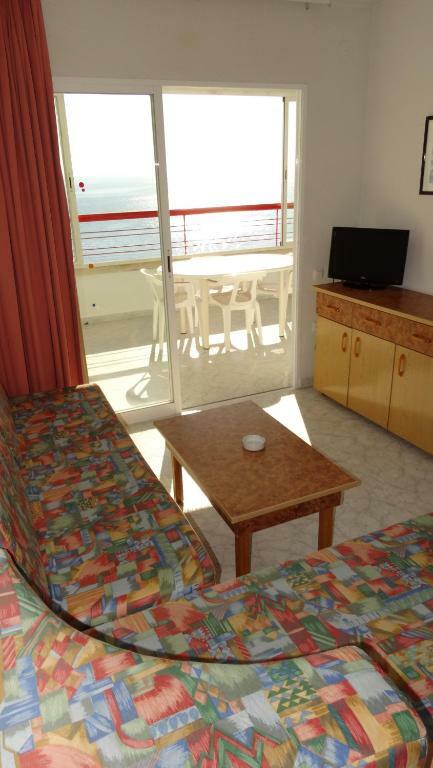 Each apartment has a furnished terrace with wonderful sea views. The spacious apartments at the Beni-Beach have a functional design, with tile floors and an airy lounge with TV. 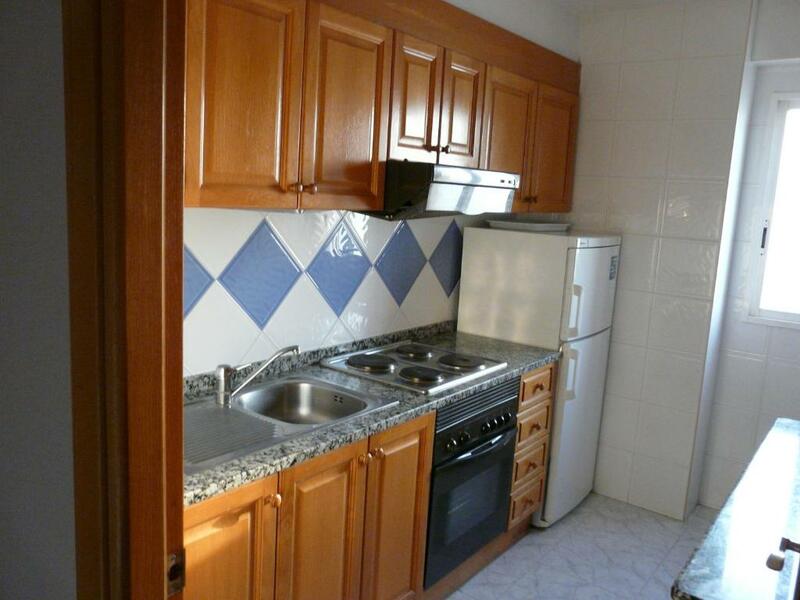 Kitchenettes include an oven, electric stove and fridge. Apartamentos Beni-Beach are surrounded by gardens, and include a game room and play area. The 24-hour front desk provides currency exchange and information about the area. There is free Wi-Fi in the lobby. 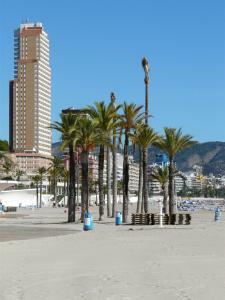 The Beni-Beach complex is located a quarter mile from Elche Park, and a 10-minute walk from Benidorm’s Old Town. A wide range of shops, restaurants and lively bars can be found in the center of town. 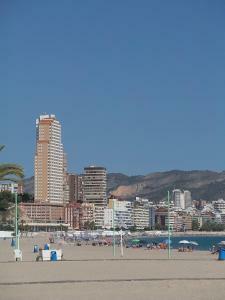 뀐 Located in the top-rated area in Benidorm, this property has an excellent location score of 8.8! When would you like to stay at Apartamentos Beni-Beach? This spacious one-bedroom apartment features a furnished terrace with wonderful sea views. There is an airy lounge with a TV and a sofa bed, and a kitchenette with an oven, an electric stove and a fridge. 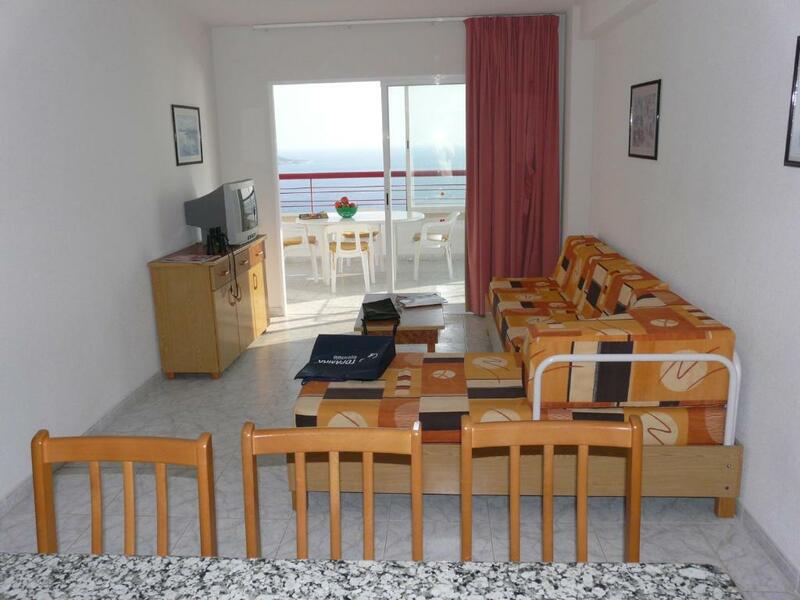 This spacious two-bedroom apartment has a furnished terrace with wonderful sea views. 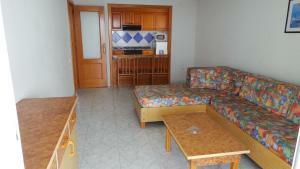 There is an airy lounge with a TV and sofa bed, and a kitchenette with an oven, electric hob and fridge. 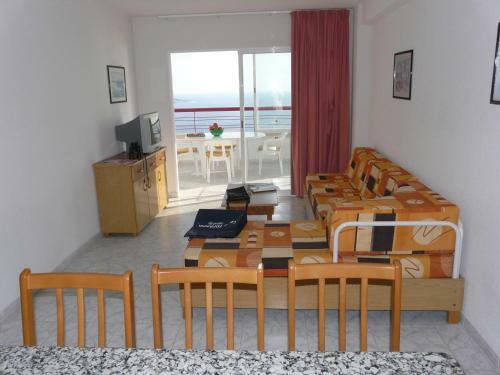 This spacious three-bedroom apartment has a furnished terrace with wonderful sea views. There is an airy lounge with a TV and sofa bed, and a kitchenette with an oven, electric hob and fridge. 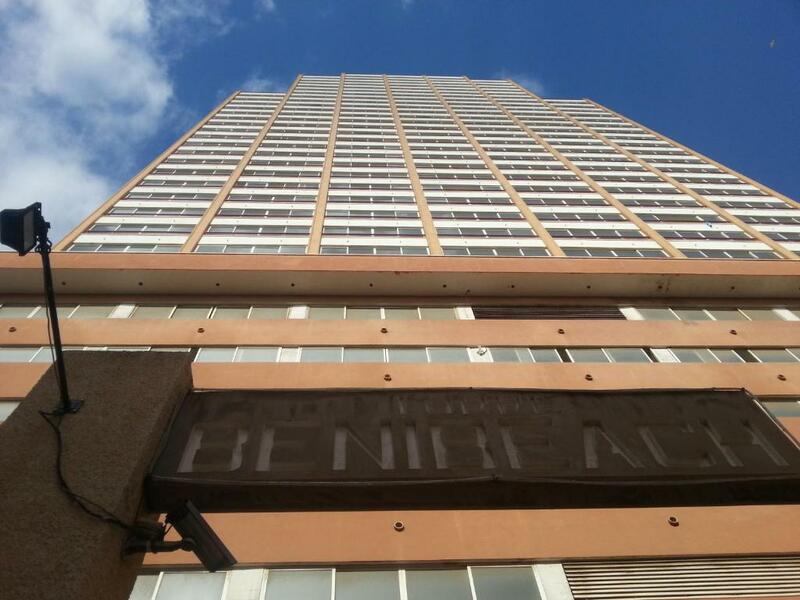 BENIBEACH, es un gran complejo turístico, construido en la segunda mitad de los años 90, en excelente estado de conservación y funcionamiento gracias al equipo de personas dedicado diariamente a estos cometidos. 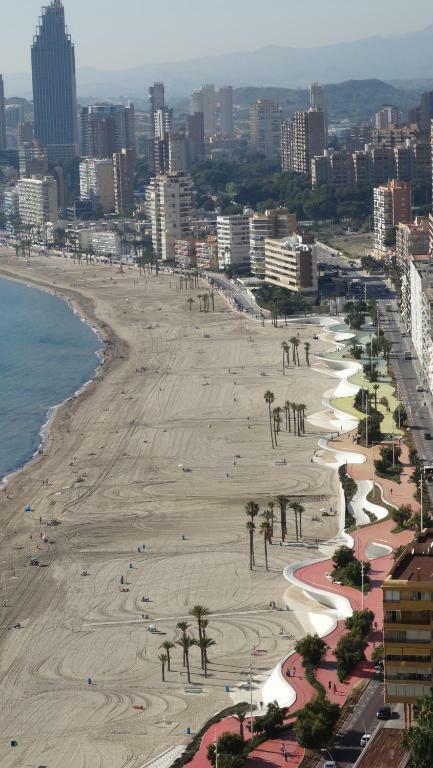 Primera linea de la Playa Poniente de Benidorm. Un edificio moderno, construido en altura, todos los apartamentos tienen terraza de 15 m2, acristalada, al Sur, al Mar. Tan sólo hay que cruzar la Avenida para disfrutar a la orilla del Mar. Zzona tranquila y a la vez, a sólo cinco minutos del centro. 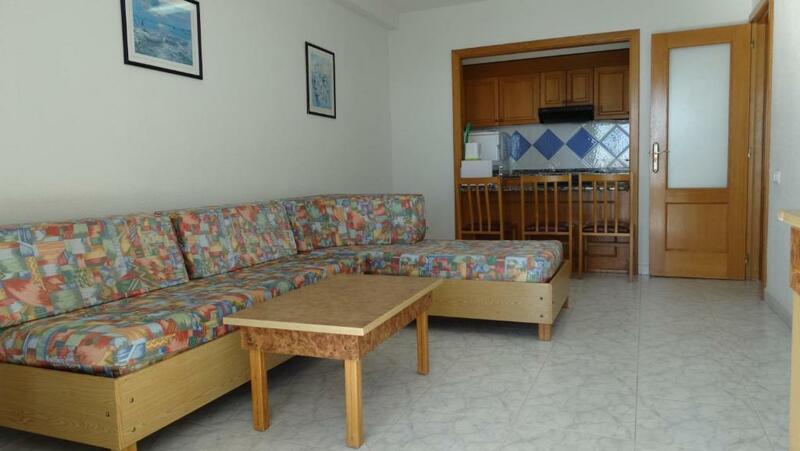 House Rules Apartamentos Beni-Beach takes special requests – add in the next step! A EUR240 damage deposit is required on arrival (around USD270.12). This deposit will be fully refunded at check-out, as long as there isn't any damage to the property. Apartamentos Beni-Beach accepts these cards and reserves the right to temporarily hold an amount prior to arrival. Please note that apartments are cleaned and sheets are changed every 7 days, and towels are changed every 4 days. Please note that this property requires a deposit in cash of EUR 40 per adult. This amount will be refunded upon departure, after verification of the apartment. 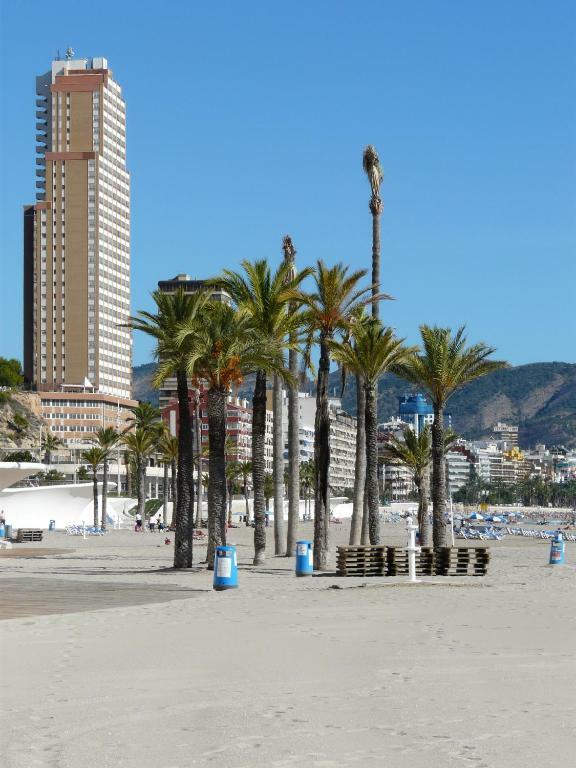 Please note that the parking facilities are located in Avenida de Uruguay, 9-10 - 03502 Benidorm. A damage deposit of EUR 240 is required on arrival. That's about 270.12USD. This will be collected as a cash payment. You should be reimbursed on check-out. Your deposit will be refunded in full, in cash, subject to an inspection of the property. Nothing at all, it was the the perfect apartment in every way. It would have been nice if the bar was open and snacks available. The beds and pillows were uncomfortable. The beds could be more comfortable. The bed was very uncomfortable, and it was hard to cook a meal without the electrice tripping out, the bedding could have been a lot better. Location is a little far out but we knew that before traveling. Our room was clean, staff fantastic- very friendly and attentive. 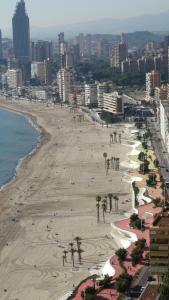 The view is by far the best view in Benidorm and the balcony the best feature of Beni Beach! Really big, complete sun trap, the sliding windows mean the space can be used day or night too and also doesn't make it feel so high up.